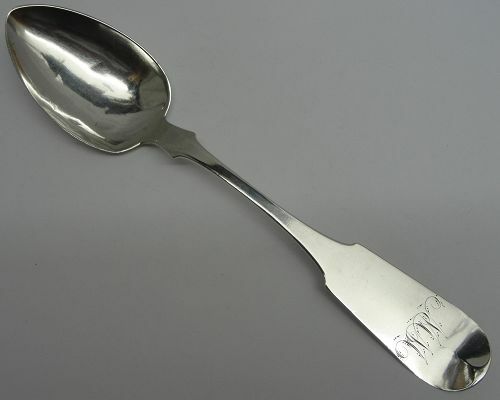 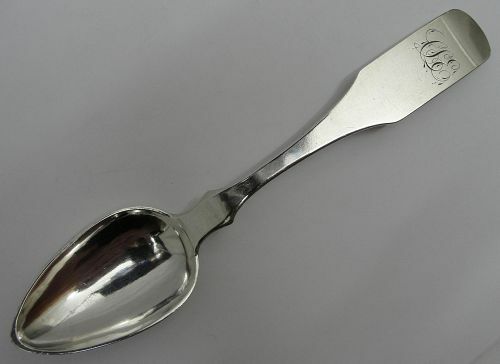 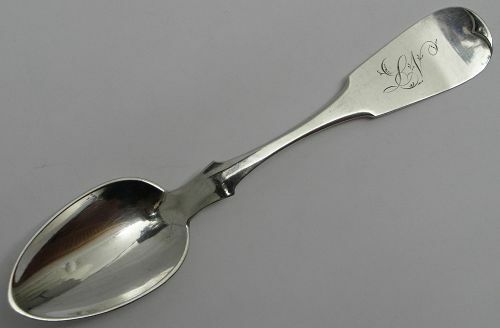 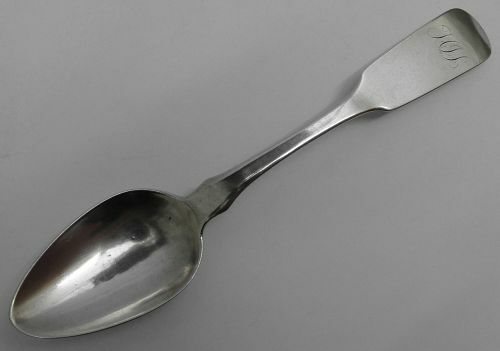 Gorgeous Decorated Coin Silver Tablespoon by Edward Lownes of Phila. 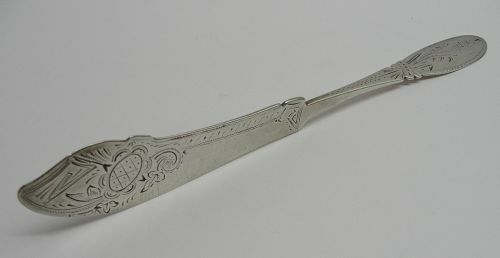 Offered is a nicely decorated American coin silver turned-handle spreader or butter knife bearing a manufacturer's mark for James Watts of Philadelphia, circa the 1860s. 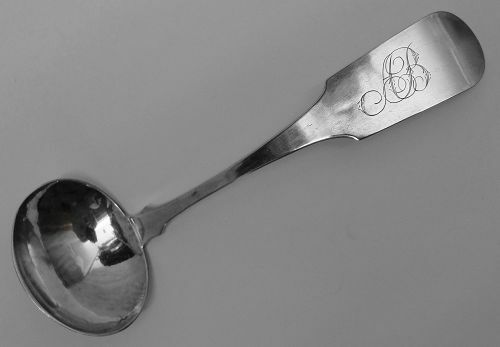 This piece has engraved decoration and a period engraved script monogram. 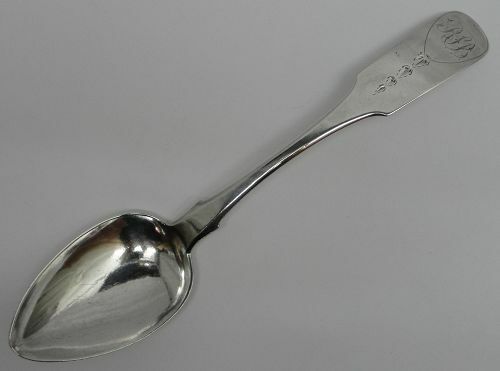 It measures about 7 1/2 inches in length and weighs about 33 grams. 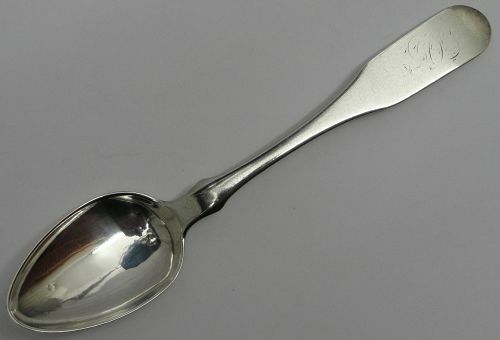 Condition is fair to good, with some wear and scratching consistent with normal use, but no bends, splits or repairs. 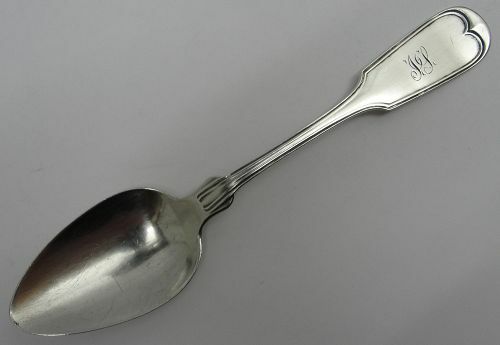 All in all a nice piece for display or everyday use!